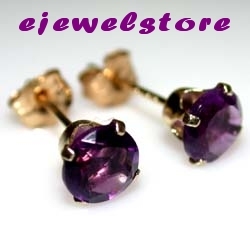 2 Genuine Round cut Amethyst Gemstones measure approximately 5mm each set in Solid 10ct yellow Gold push back studs. 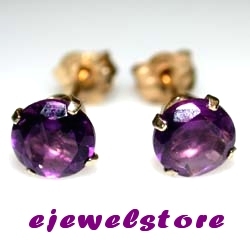 Total approximate weight of Gemstones is .80 CARATS. 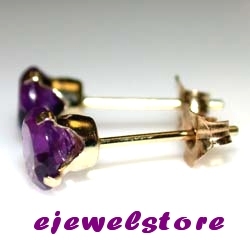 Click the add to shopping bag button below to buy this item or add it to your shopping cart. Your enquiry has been sent to us, thanks for your support. Would you like to checkout Or layby your shopping cart items before you log off ?